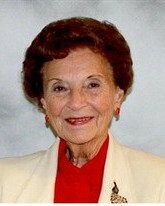 Norma Jean Norris, age 89, of Blairsville, GA passed away Tuesday, February 5th, 2019, in Union County Nursing Home in Blairsville. Mrs. Norris was a native of Ohio, a daughter of the late John W. Hart and the late Dorothy Marie Penrod Hart. Mrs. Norris was preceded in death by her husband, Carl Norris. She moved to Blairsville in 2012 and was a member of First Baptist Church of Blairsville. Surviving Mrs. Norris are her loving family members: daughter and son-in-law, Judi and Bob Rinehart of Blairsville; son, Jerry L. White, of Ohio; granddaughter, Laurie (Mike) Justice; granddaughter, Stefanie (Don) Harris, both of Ohio; granddaughter, Karen (John) Pirie, of Blairsville; grandson, Rodney Rinehart, of Texas; and granddaughter, Susan (Jeff) Hildreth, of Texas; step-daughter, Anita Freshly, and half-sister, Becky Nickols, both of Ohio; great granddaughters: Danielle Barker, Dori Spence, and Sara Semmler; great grandsons: Nick Justice, Justin Nutter, Zack Nutter, Jackson Pirie, and Joshua Pirie; numerous great great grandchildren and other relatives also survive. A funeral service will be held 10 am Saturday, Feb. 9 at the Dwayne R. Spence Funeral Home, 550 Hill Road N. (St. Rt. #256), Pickerington, Ohio with the Rev. Leon Jordan officiating. Interment will follow at Glen Rest Memorial Estate in Reynoldsburg. In lieu of flowers, the family suggests memorial contributions be made to The Alzheimer's Association.